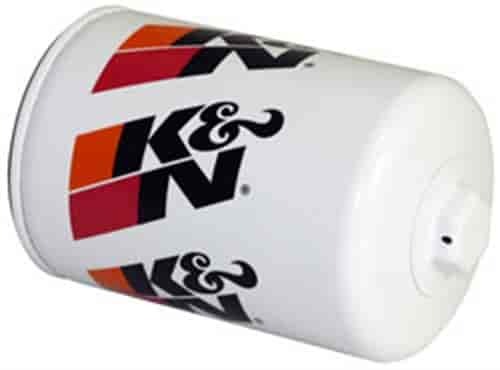 K&N PS-3002 - Pro Series Canister Oil Filter Height: 5.719"
Does K&N HP-3002 fit your vehicle? HP-3002 - K&N HP Series Performance Gold Oil Filters is rated 5.0 out of 5 by 2. Rated 5 out of 5 by Mr Vette from I bought this filter for my SBC I really like the welded nut on the bottom of the filter making it much easier to remove. Also being a larger filter holds additional oil for additional cooling. The HP3002 says it has a bypass valve in it. At what pressure does the filters bypass valve open? This is not oil pressure itself, it is the difference between pressure in and presser out, these filters will bypass if that difference is 15-20 psi which means the filter element is clogged.